Has any body used the head with bigger valves and did you gain any more power and about how much do you think it was and are you happy with the head ? Odessa Cylinder Head sells one with a 2.02 intake valve and 1.62 exhaust valve , I would all so clean up the ports . thank you for any info you can give me . 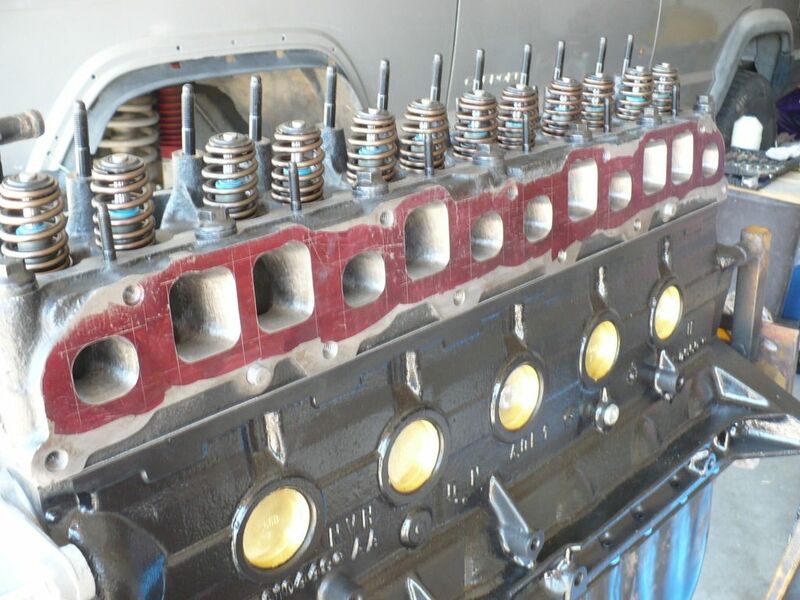 I run one of Russ's LS1 valve heads but it's fully ported and on a stroker. The intake is ported and bored for a 62mm throttle body. What else on the motor do have you done? stock head flows pretty good. if you haven't done intake/exhaust, I'd start there. if I were to do a big valve head, I'd definitely move to a bigger lift/duration cam to take advantage of those valves. so make sure you have springs on the head to handle such a cam if that's of interest. Yeah going big valve isn't going to matter without a port and polish, and a cam. That becomes a whole thing. I did want to clean up the ports and run a set of roller rockers , I'm not looking for a lot . For 50yrs I've told my customers "you can't get it in, until you get it out". I did forget to say that the head on my jeep now is cracked so I will be buying a replacement head , I just don't know witch one yet . I hate saying like this , What are you trying to say? "You've got to get the exhaust charge out before you can get intake gasses in"
thank you cam, exhaust valve and compression stroke? should he run bigger exhaust valves than intake? longer exhaust duration? turbocharge it?